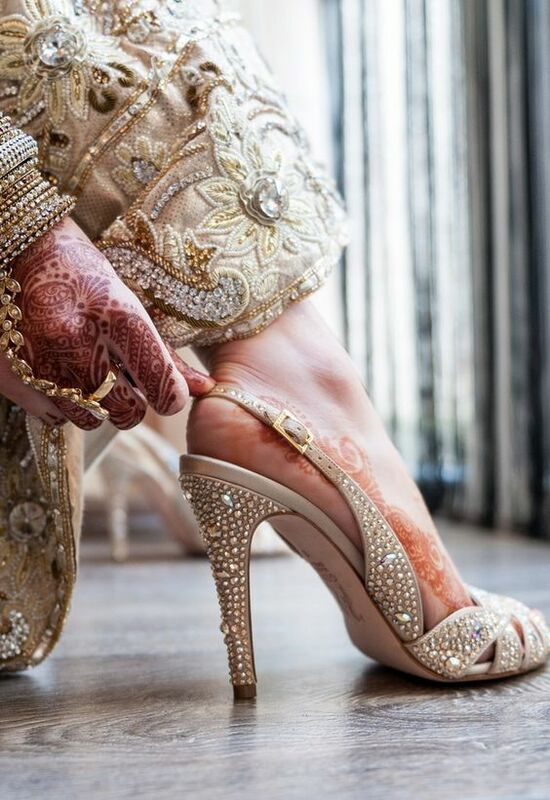 Stilettos in shimmer shades – Well this is the most common shape to go for but is also the most comfortable one amongst all the pencil heel styles. 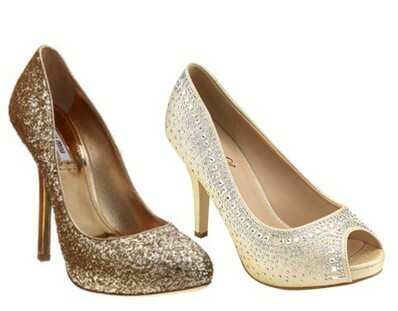 Just remember to choose the one with a little platform base at the front for comfort. You can choose from the pep toe style or the closed shape in this design. It also goes with all the Indian and western outfits. They can be embroidered or in plain gold, silver or bronze shade. 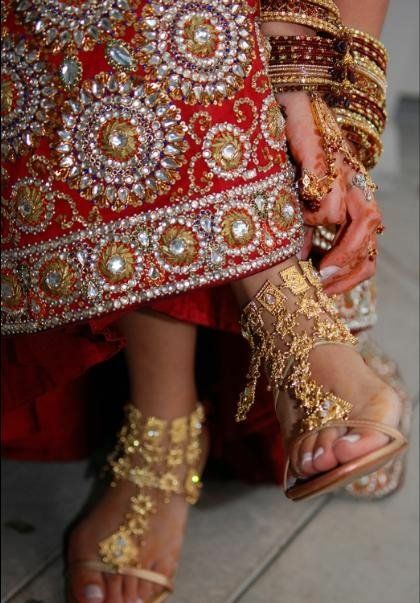 Embroidered Wedges– They are super comfortable and goes well with Indian outfits. Rather then picking up a plain wedge , go in for a embroidered one, probably matching your lehnga. Indian embroideries like zardosi and gota patti work looks best on them. You can also get it customized according to the color and embroidery of your outfit from any local footwear designer. Back Straps Heels-If you are uncomfortable wearing closed footwear, then this one will save your life. 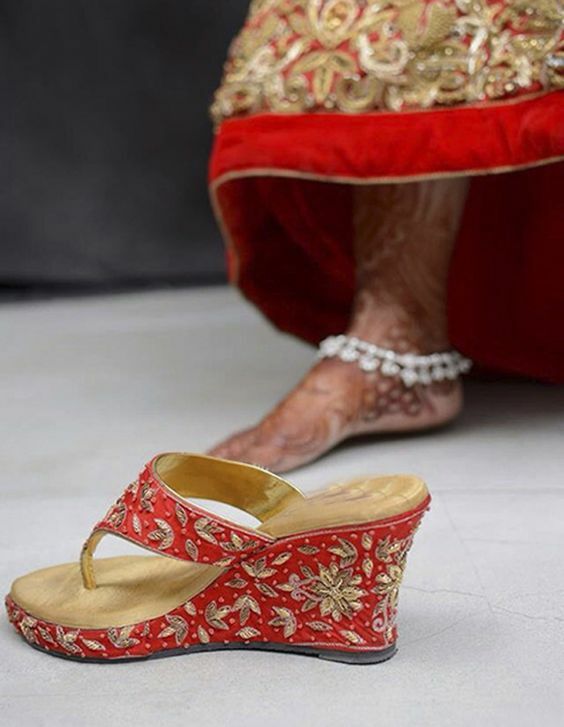 This back open strap style, will also make the mehndi design on the foot more visible rather than hiding it out. 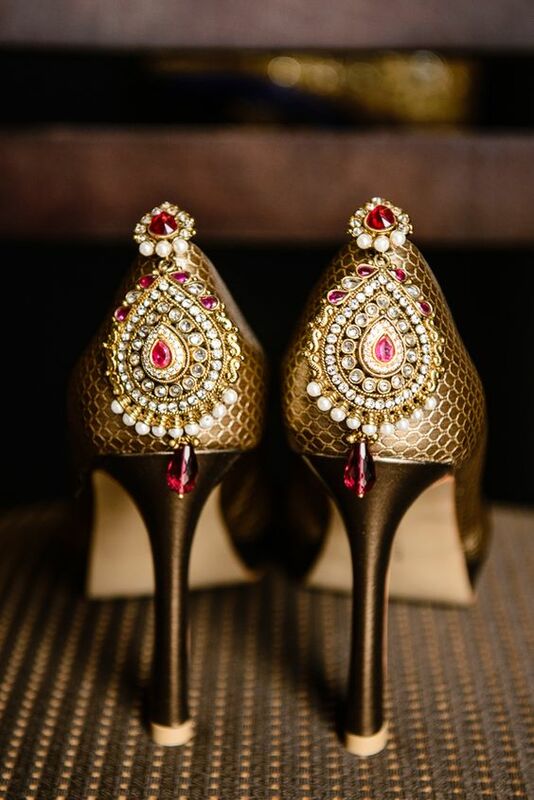 Jewelled Bridal Heels– A royal footwear style inspired by Indian motifs and set in pearls, kundan and colored stones is a great treat for the eyes. 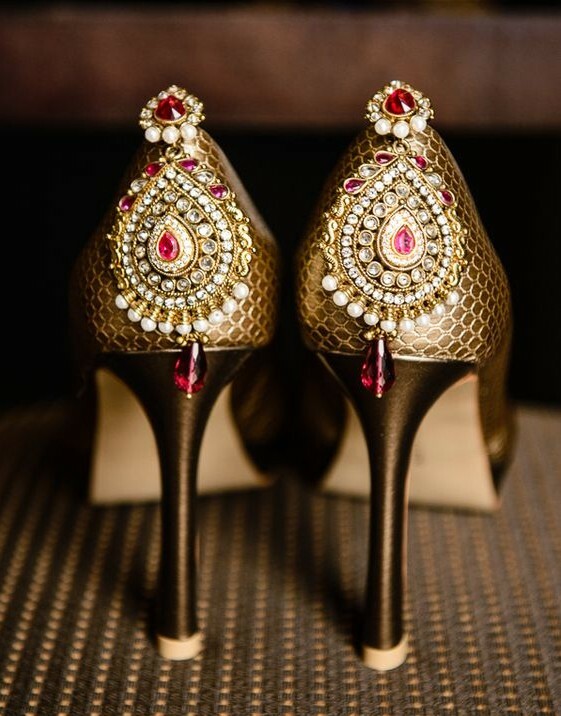 The jeweled pattern is generally put at the back of the footwear so that it could hang properly. Its different from other embroidered patterns, as a full piece of jewelry or a broach is used here. T-strap style– The interconnecting pattern between the two straps forms a perfect T and therefore is known as a T-strap style. It generally makes a cuff at the end and goes round the ankle. This style looks best for the Indian brides when done in Indian jewelry patterns like this one. Traditional Flat Jutties– Super Comfortable Flats is for the brides who are not afraid to experiment. 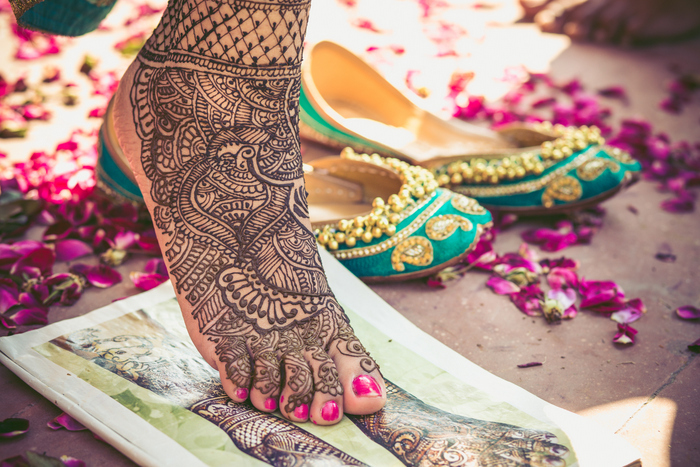 They will keep your feet relaxed in the mad arrangements of functions, and will also add up to the ethnic traditional look.